Cladding is commonly used as a protective layer for roofs and wall panelling on commercial buildings, and can be exposed to the harshest of elements – from pooled ice water to sleet and snow. 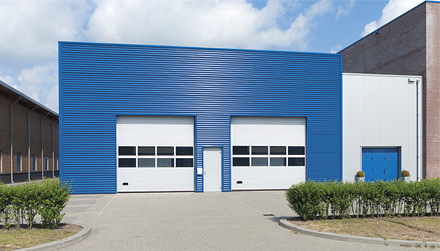 Of course, it’s not just moisture that can cause damage to roof cladding, but as the metal cladding expands (rises) and contracts through heat and cold temperatures, the factory coating can lift to expose the underlying substrate. Year in and out, this can take its toll, with not just the cladding’s colour deteriorating, but rust can also set-in, through cut edge corrosion, and weaken its integrity. Before all of this, however, cladding can be weakened by cut edge corrosion, and this article will look at the causes and treatments for cut edge corrosion on cladding, as well as some general maintenance tips. Viewing on mobile? You can shop all our cut edge corrosion products here. 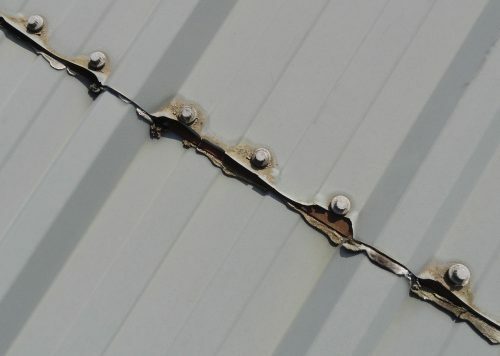 Checks for cut edge corrosion should be considered and scheduled as a general cladding panel maintenance procedure for metal profiled roof sheets, aluminium sheet cladding and corrugated steel sheets. Steel and other metals corrode ‘in the presence of’ oxygen, and this is what cut edges of cladding will be exposed to. Plastisol cladding prevents the underlying metal substrate from rust corrosion, and helps improves its visual appearance for longer periods of time. Cladding paints for metal and Plastisol are available at Rawlins Paints. Cladding sheets are generally manufactured and cut in a factory. When they are made, the cladding receives a generic factory coating, which when cut, exposes a ‘flaw’ or weakness in the cladding where cut edge corrosion can begin to rust and weaken the integrity of the cladding sheet. Cut edge corrosion is most noticeable across horizontal edges – overlays, seams and eaves. The general aesthetic look of roof cladding ‘from the ground’ or inside a facility will often not show the damage occurring, as water spreads through capillary water action. The cost of repair work and roof sheet replacement for these buildings could cause a lot of disruption on-site and be disabling for a business, so it is vital to conduct regular audits on the condition of cladding – and not simply from afar. Rust, which is a common condition of cut edge corrosion, is a progressive problem which will not only affect the cosmetics and aesthetics of cladding, but more importantly its integrity and the building (roof’s) stability. Weathering, oxidation and pollutants are stimulants for the degradation of cladding and cannot be avoided. There are, however, regular manual checks that can be conducted along metal guttering, to ensure the gutter overhang is not blocked, clogged or ill-fitted. Water and chemical build-up in a gutter can further degrade the cladding’s edge or along other cladding sheets – its Achilles Heel – and cause leaks in the roofing. As the cladding rusts, aluminium and steel can become brittle, and delaying maintenance and regular checks will mean that the cladding may need to be replaced and not simply repaired. Be sure to check around skylights, too. Cladding which has been cut away from the factory when at the installation stage, may again cause cut edge corrosion. Cut edge corrosion is essentially a manufacturing ‘fault’, in that the cut edge may not be sufficiently coated, causing this factory coating to peel back and delaminate the cladding. 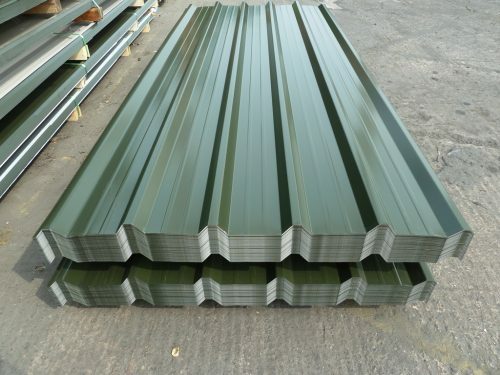 Pre-finished roof sheets are cut at the manufacturers to fit the building layout, and it is along these edges that a thin line of metal is left exposed (and frequently not coated), leaving it vulnerable. Cladding will be coated prior to the cutting and an incorrect assumption is that this will suffice as a weatherproof, waterproof and seasonal element protected coating for the edges, too. This area of the roof cladding will be susceptible to peeling, corrosion and delamination. Cladding sheets made with zinc-aluminium alloy will have a lower corrosion rate. This is due to, what is known as, a sacrificial zinc layer, which during the initial period protects the exposed steel from rusting. In extreme cases, the sheet will be visibly corroded. For safety’s sake, if any of the above signs are noted, then this roof area should not be approached as there is a danger of the roof sheet giving way under loading. The only options for treating this defect is either re-sheeting or removal and replacement of the bottom edge of the profile metal sheeting. When approaching this type of work, it is important to clarify the objectives. Is the client wanting a protective treatment for the cut end corrosion – if so, use a system that doesn’t seal the joints. If the client is expecting a full waterproofing treatment, then the potential issue above needs to be referred to. Cut edge corrosion is where the exposed edges of factory-coated cladding become weathered and corroded after time. Timely treatment of cut edge corrosion will extend the life of your cladding system and can also stop or guard against roof leaks, hence saving on the cost of replacing the cladding. The Tor EdgeProtect™ system provides a cost-effective means of tackling cut edge corrosion. It seals and safeguards corroded edges and mechanical fixings to leave the roof watertight. The mechanical fixings (A) are protected using a combination of anti-corrosive primer and our formable tape system. The overlapping edges of the existing cladding are then stripe-coated with anti-corrosive primer (B) before being encapsulated with our specialist reinforcement tape (C). This is overcoated with a flexible, fibre-reinforced membrane (D). The topcoats (E) can be specified as either Raincoat™ (10 year performance) or Torclad™ Colour Dynamic (15 year performance). Topcoat can be applied to the overall roof or limited to the area being treated. Either topcoat system can be tinted to most RAL, BS, or NCS colours. Rooflight cladding (F) can be incorporated with an application of our clear, protective Transglaze™ coating. We offer two coating systems for waterproofing and refinishing factory coated metal profiled cladding, which are used in conjunction with our EdgeProtect™ system. Raincoat™ is an acrylic-based system that offers excellent weathering properties and 10-year protection. Torclad™ Colour Dynamic uses moisture-cured urethane technology to deliver exceptional 15-year performance. Both topcoat systems can be tinted to most RAL, BS, or NCS colours and are compatible with common substrates such as PVC Plastisol and coatings which combine substrates and finishes such as silicone polyester or PVF2. For translucent GRP cladding, normally used for natural roof lighting, our clear Transglaze™ system can also be incorporated. In situations where roof cladding is sound but colour is affected by fading, Raincoat™ or Torclad™ Colour Dynamic can be applied as standalone decorative finishes. This can be particularly useful when the objective is to rejuvenate the exterior of a building due a change of ownership, to match corporate branding or to blend in damaged panels – or to simply extend the life expectancy of the cladding. Gutters can be seamlessly waterproofed using our Elastaseal™ coating system. 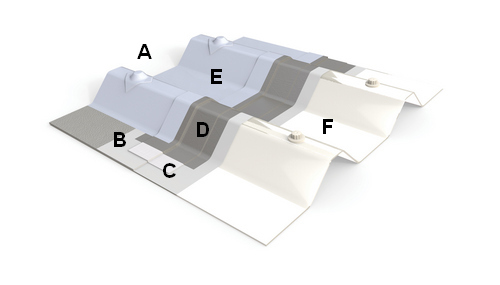 It offers 10, 15 and 20 year options and can be applied to most common gutter types and substrates.